As a primer for our Facebook Garage, we are also running a session on APIs right before it in the Digital Exchange on March 5th. If you are attending in any capacity,Â please sign-up here. And then some social drinks for all involved…. Facebook in Ireland is exploding in popularity; 400k+ users at last count. But it’s not just the number of punters that is growing, so too is the development community. We are genuinely excited therefore to announce Ireland’s first Facebook Developer Garage, brought to you by Web2Ireland on march 5th in the Digital Exchange in Dublin. 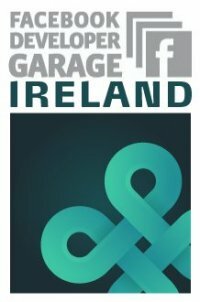 The Garages are just like they sound â€“ a place to explore, get gritty, tinker, experiment, and test out ideas for Facebook Platform.Â Â We also want to use it asÂ an opportunity for the Irish FB developer community to network and learn from each other. See the London site to get an idea of what they are all about. Please RSVP on Facebook if you are attending in any capacity. This is a completely free event and we are very appreciative of the support being provided by Facebook themselves. We will have some further very exciting news about the Garage in the next two weeks. And if that’s not enough for you,Â Web2Ireland is also hosting a mini-workshop on API Wars and Opportunities before the Garage. See the next blog post! Niall hooked up with Vinny Glennon and Cormac Driver – and these guys were accepted to the world famous Y Combinator in San Francisco. Cloudsync is now known as Echodio – and Niall pinged us over the weekend to let us know that they’ve been shortlisted by the SXSW music+film+interactive festival to present at SXSW Accelerator, their showcase for technology startups. One of four finalists in the music category – picked from over 200 applications. Best of luck to the lads – keep the Irish flag flying…. Film producer and entrepreneur LordÂ PuttnamÂ will deliver the keynote address at the SOHO Solo conference called â€œReinventing Oneself in these Challenging Timesâ€ inÂ KinsaleÂ next Friday, 20th February 2009. The half-day conference is aimed primarily at small business owners, entrepreneurs and those with a budding business idea.Â It takes places at the Kinsale Yacht Club between 10am and 2pm and is an absolute bargain to attend at only â‚¬25 including lunch. Lord Puttnam will be joined by a wide range of speakers covering topics like transitioning one business into another, the importance of making and retaining connections and identifying your businesses strengths. More details including how to register over on the blog. Walter and Ursula who run Sxoop Technologies have been in the image manipulation software biz for several years now. Their core offering, Pixenate, an online photo editor, is integrated on many sites worldwide. More recently they have built a bunch of fun and useful tools using Pixenate. The most recent, Twitter Mosaic, is actually making money on Twitter before Twitter themselves have figured out a business model! Mosaic is just one of those beautifully simple forehead-slapping ideas. You tell it your Twitter username and it generates mugs, t-shirts, bags etcÂ Â with a mosaic of your followersÂ on them for purchase on Zazzle. A damn sight more interesting than the “Maximising customer delight through six sigma” mug that your employer gave you as your Christmas bonus. There was a great push from the community this week and here are the posts we have found. If you have done a Â push, make sure to follow @tuesdaypush on Twitter and let them know. If you are feeling rosemantic, don’t forget you can alsoÂ heartify your Twitter avatar on Pixenate at the minute too! Innovate!Europe is a unique, three-part “Talent Search” designed to identify Europeâ€™s most promising startups and accelerate their drive into the global technology market. Innovate!Europe is hosting a networking meetup in Dublin for local entrepreneurs, investors, executives, government officials and members of the press. The meetup is co-hosted by Enterprise Ireland, Guidewire Group, Orrick, and Innovate!Europe’s partners and sponsors. Confirm your attendance by registering here (FREE).